Xlight FTP Server can be integrated with LDAP servers to authenticate users. Users can use the same user name and password to access the resources of ftp server, e-mail server etc. In this example, we use Novell eDirectory LDAP server to demonstrate the procedure of integrating Xlight FTP Server with LDAP server. For other LDAP servers, procedures are very similar. Note: after 30-day evaluation period, this function is only supported by the Professional edition of Xlight FTP Server. You have to set the IP address or domain name of LDAP Server. 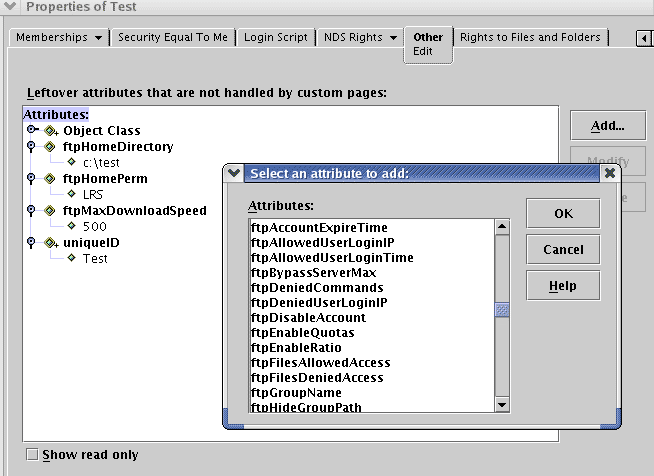 Because Novell eDirectory server forces TLS connection by its default settings, the option "Use TLS/SSL connection" is selected. You won't need to select this option, if your LDAP server doesn't force TLS/SSL. 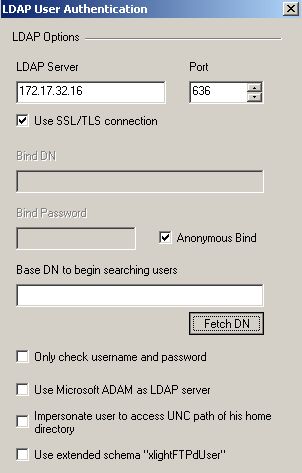 Most LDAP servers support anonymous bind by their default settings, so the option "Anonymous Bind" is selected. If your LDAP server doesn't support anonymous bind, you have to fill in the "Bind DN" and "Bind Password". You would better set the "Base DN to begin searching users". Or you can click the "Fetch DN" button to retrieve the base DN. Otherwise Xlight FTP Server will start searching users from the root DN, but may not be able to find any users. Xlight FTP Server will search LDAP server for user with object Class "inetOrgPerson" and the attribute "uid" matched with user's login name. If some users have trouble to authenticate, please check if the attribute "uid" is set for them in the LDAP server. If you want to only check username and password against LDAP server, you can choose the option "Only check username and password". 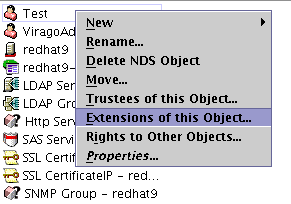 If you don't choose this option, LDAP attribute homeDirectory (POSIX attributes) will be used also. If you don't want to set LDAP attribute homeDirectory as user's FTP home directory, or if you have many LDAP users and don't want to set homeDirectory for each of them. You can use default user profile to setup home directory for users. This link has detail description about setup default user profile. 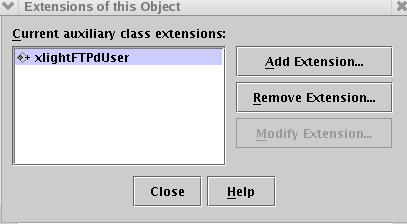 Users' ObjectClass is "user", "posixAccount" or "organizationalPerson"
Unlike most LDAP Servers to use object class "inetOrgPerson" for the attribute "uid". 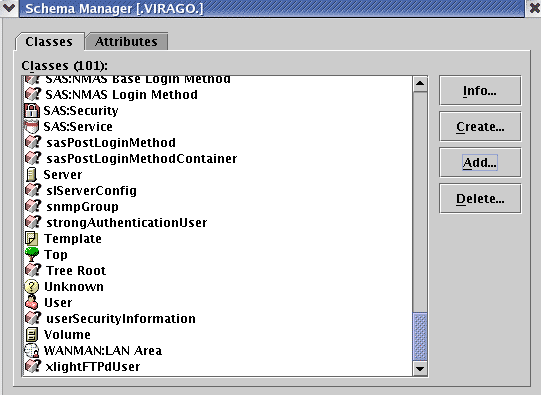 In some LDAP servers, the attribute "uid" is associated with object class "user", "posixAccount" or "organizationalPerson". 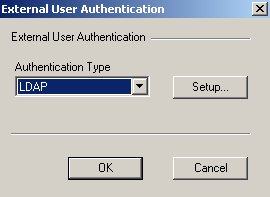 For these LDAP servers, you need to select this option, Otherwise the user authentication will fail. When user's homeDirectory is UNC path, the default behavior is to access it by using the account running Xlight FTP Server. For example, if Xlight FTP Server is running as service, normally it will be the "Local System Account". But if the option "Impersonate user to access UNC path of his home directory" is selected, the UNC path is accessed by the account of login user. 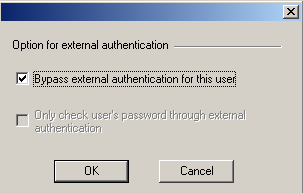 As a result, the login user must have proper NTFS permission to access the UNC path. When users are authenticated againest in the LDAP server, you may want to allow anonymous user who can use any password to access the ftp server. Because users in the LDAP server must have password, anonymous user can not be created in the LDAP server. However, you can create a user with username "anonymous" in the local ftp server and select the option "Bypass the external authentication" in his settings([User settings]->[Account]->[Option for external authentication]), as showed in the picture below. The local ftp user will bypass the external authentication and be authenticated againest the local ftp server. His settings will come from the local ftp server also. There is another option "Use extended schema "xlightFTPdUser"". It will provide many Xlight FTP Server related options by using extended schema xlightFTPdUser. When this option is selected, the attribute homeDirectory in the POSIX attributes will be not be used any more. Instead ftpHomeDirectory from extended schema xlightFTPdUser will be used to set home directory for this user. 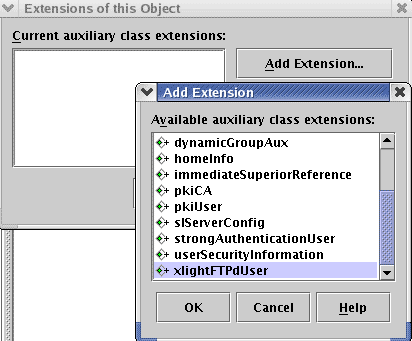 In the dialog box showed in the figure below, fill "FTP properties" as its name and click OK button. You can use other name in here as well. You should be able to use Schema xlightFTPdUser now and set Xlight FTP Server related ftp options for this user. From Xlight FTP Server version 3.5, you can setup multiple virtual paths for a user through the attribute ftpVirtualPaths of xlightFTPdUser schema. 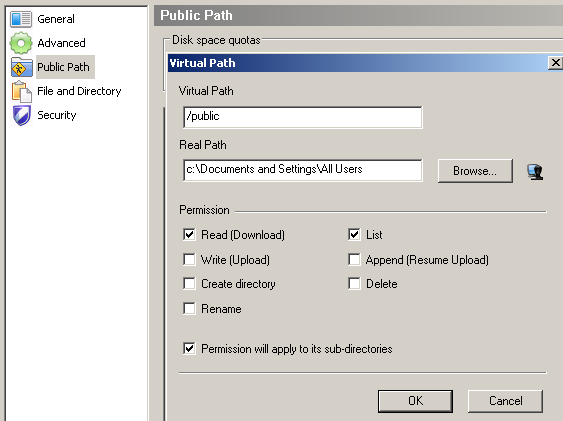 The string for "ftpVirtualPaths" is the "|" separated combination of virtual path, real path and permission, as showed in the figure below. Its format is "virtual path | real path | permission". An example virtual path string can be "/files/ | d:\Downloads\ | RLS----", where the "/files/" is the virtual path, "d:\Downloads\" is the real path mapped to "/files/", "R--L--S" is permission flag of "/files/". Virtual path, real path and permission are separated by "|".You can refer to the description of "ftpHomePerm" for the meaning of each permission flag. Note: Virtual path must be UNIX style path and real path must be Windows style path.